Ecover Bathroom Cleaner is tough on soap scum and bathroom dirt. With a fresh plant based fragrance just add a little old fashioned elbow grease and your bathroom will be sparkling clean! Its fast and complete biodegradability ensures this bathroom cleaner's environmental credentials and it has minimum impact on aquatic life. The packaging itself is made from polyethylene and polypropylene which are 100% recyclable using a low energy process. Instructions for use: Spray onto surface and wipe with a dry or damp cloth. For tougher marks leave to act for a few minutes before wiping. Rinse off with water. Not suitable for use on marble and natural stones. >30%: water, <5%: non-ionic and anionic surfactants, citric acid, citrate, perfume (type: Ocean fantasy; contains: Limonene), xanthan gum, preservative (0,02%) 2-Bromo-2-Nitropropane-1,3-Diol. 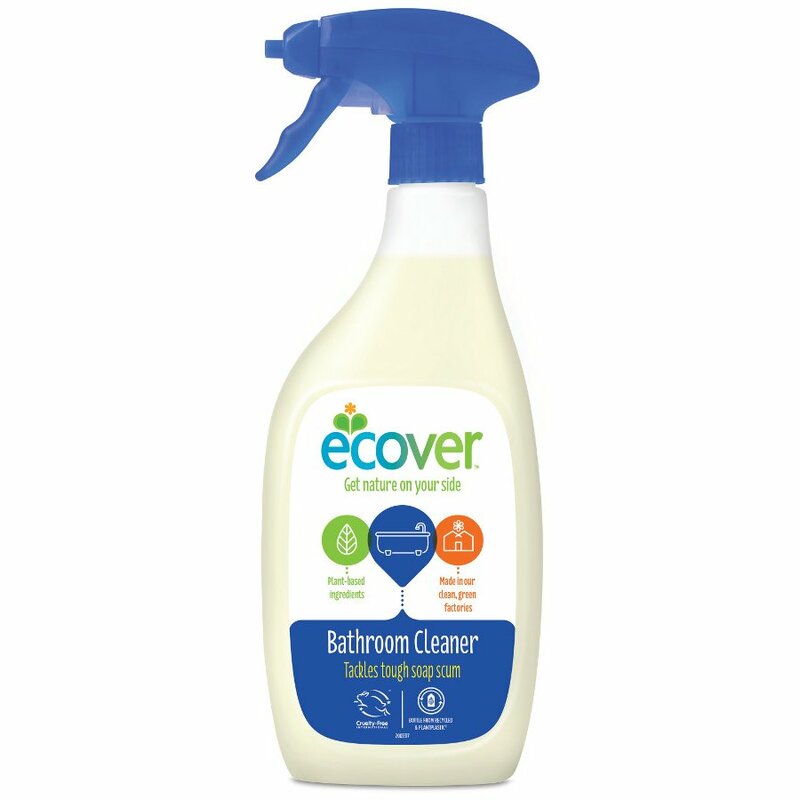 There are currently no questions to display about Ecover Bathroom Cleaner.